This is simply No. 7 – I have found that at times painting titles / names lead the painting and I would rather take the piece to where it would naturally wish to go. Although one title that has stayed with me throughout is ‘A Road Less Travelled’. 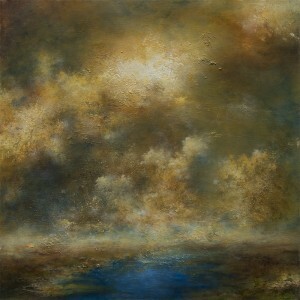 This piece measures 60 x 60 cm and is painted on a deep edge canvas. I have used oil, modern day tempera and numerous glazes. No. 7 is nearing completion and will be available to buy soon. If you require any further information please message me via the contact page.